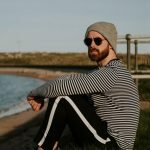 Recently we took a trip to the Costa Del Sol region of Spain and had the chance to explore some of the main tourist attractions in the area and I must admit that one of my personal favourite places that we went to was the Castillo De Colomares in Benalmadena Pueblo (The Old Village). 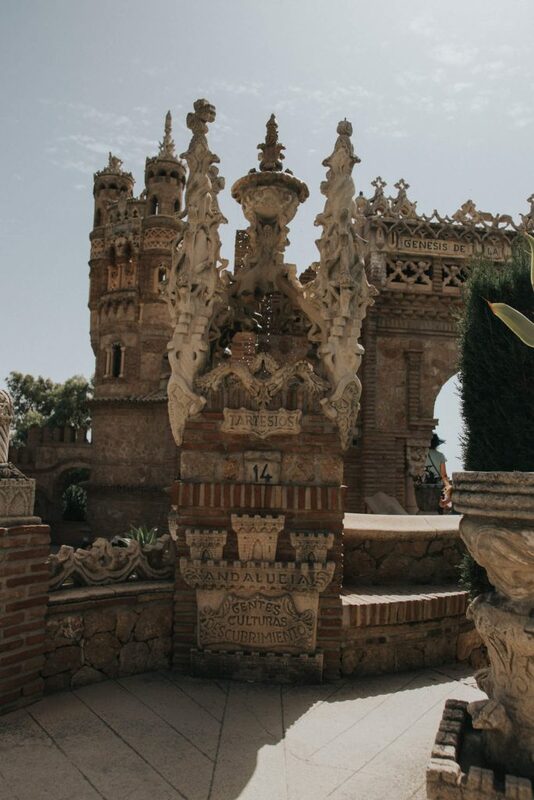 It goes by many names including Castillo Monumento Colomares, Colomares Castle, Colomares Monument and more. 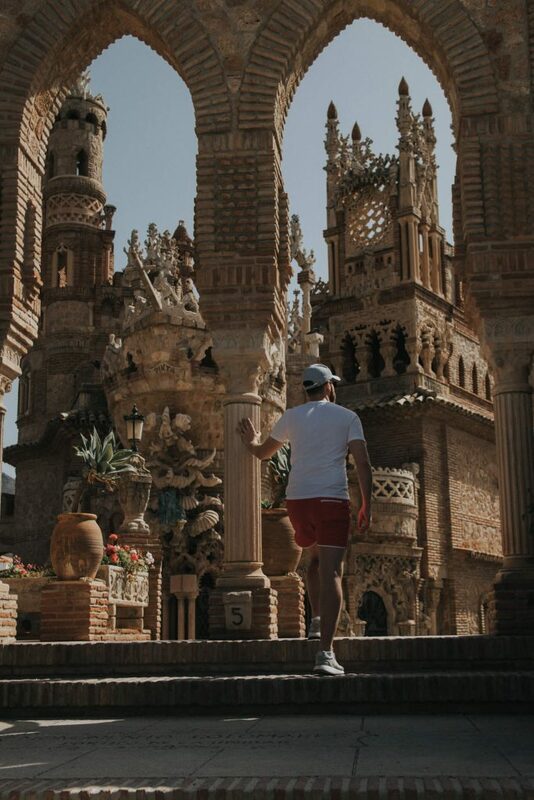 Just a short distance from the main tourist resorts is this quaint little village that has one of the most stunning pieces of architecture that you’re sure to see in a long time and definitely one of the best things to do in Benalmadena if you’re visiting on holiday. 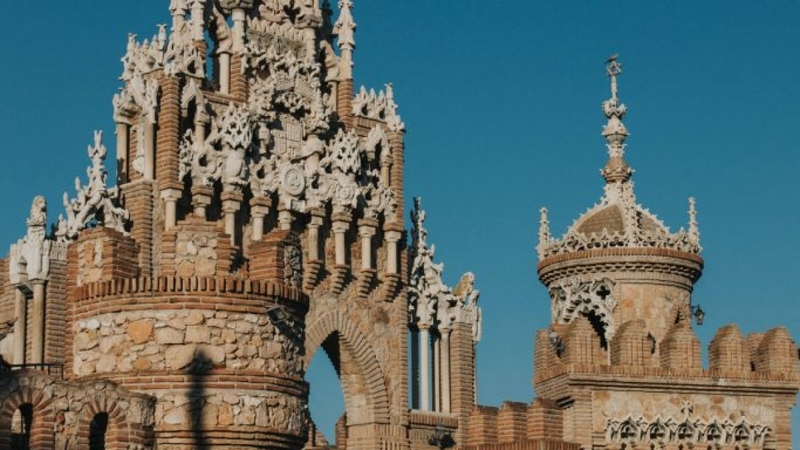 What is Castillo de Colomares (Colomares Monument)? 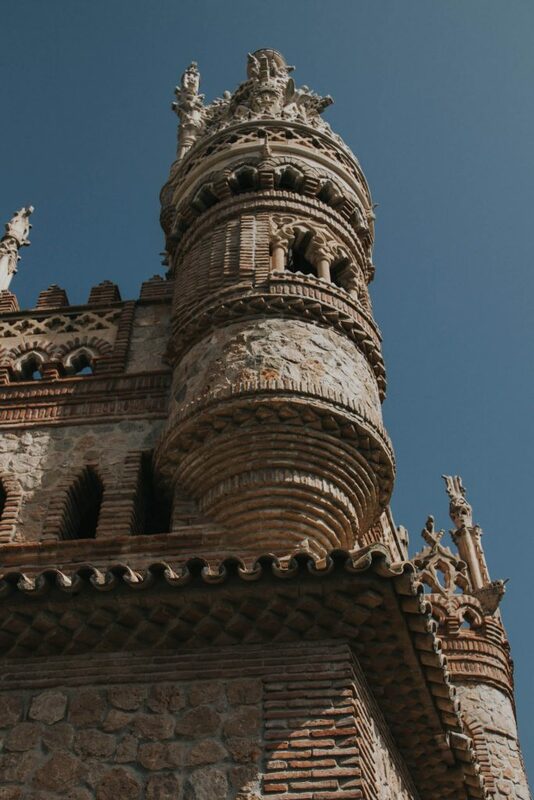 Castillo de Colomares is a monument that takes the form of a castle dedicated to the life and travels of Christopher Columbus and also holds the record of being the largest monument in the world that is dedicated to the explorer. It’s a relatively new monument having been built between 1987 – 1994, although it holds the charm and feel of something much older. When you catch sight of the monument over the treetops on your walk down towards the entrance it really is something breathtaking, standing between the trees and the perfectly white homes and buildings dotted through the rest of the skyline. 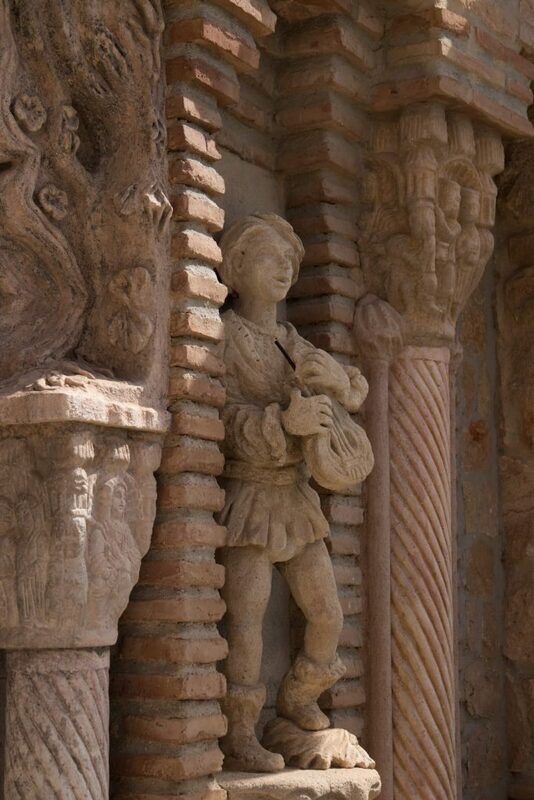 Each part of the monument depicts a different area of the world, the religions of that period of time and the story behind Christopher Columbus’ travels on his ships the Pinta, Nina and Santa Maria. Inside there is also what is currently the world’s smallest church which covers an area of just 1.96 square and is recognised as the smallest in the Guiness World records. Unfortunately, I’m not sure if this is actually accessible to the public as it was locked up on the day we visited. If you’re staying in the nearby resort of Benalmadena, you can catch a bus to Benalmadena Pueblo from the bus stops that service the M112 or M121 heading away from the marina. You will then get off the bus in Benalmadena Pueblo, which you should be able to ask the driver to alert you once you arrive. From the bus stop you then want to walk in the direction the bus was travelling and then to the left and downhill. You should be able to spot the monument above the trees and follow the road downhill towards the entrance. Be aware that it is quite a steep walk, especially on the way back up, but it is most definitely worth it. 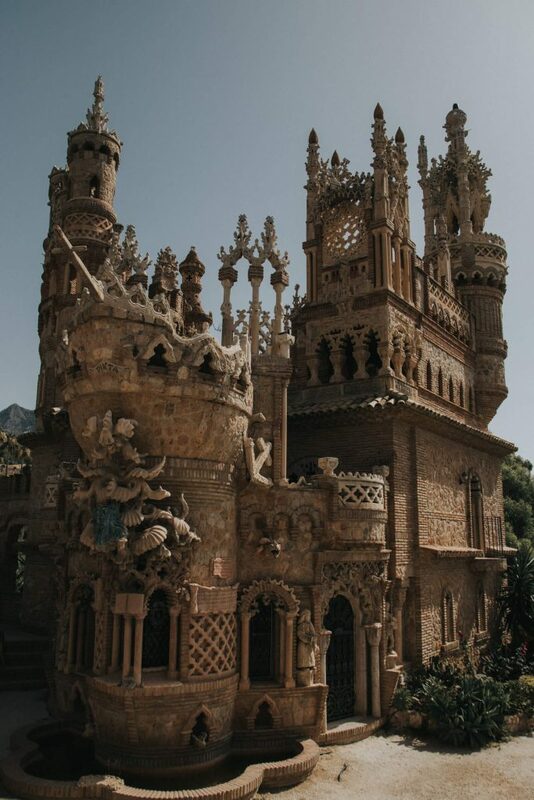 How much does Castillo de Colomares cost? At the time of writing this post it costs just €2 for adults and €1.30 for children and pensioners. Be aware that the castle isn’t open on Mondays or Tuesdays. (We found out the hard way after making the trip on a Tuesday). 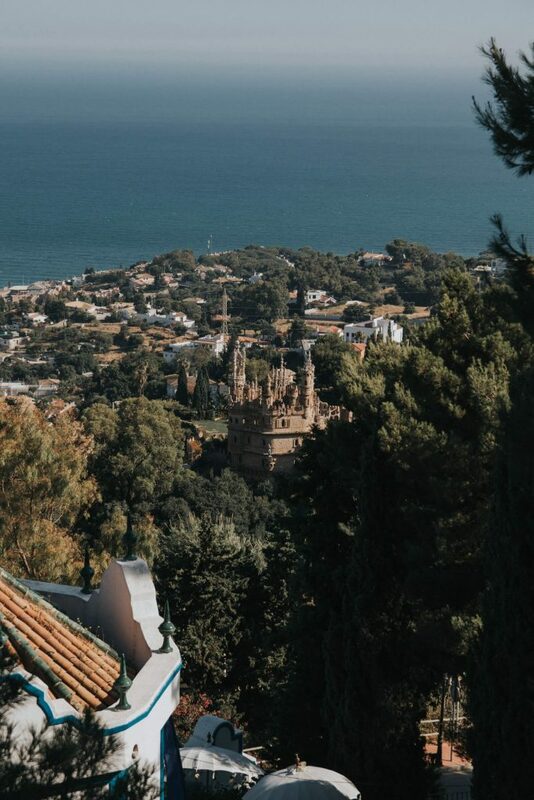 Is Castillo de Colomares somewhere that you fancy visiting? We’d love to know in the comments below.